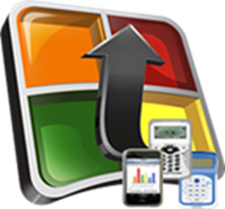 Missouri S&T – EdTech Connect – REMINDER: Using Clickers in Fall 2015? REMINDER: Using Clickers in Fall 2015? If you are planning to use clickers in your FALL 2015 classes, please visit the clicker registration page (linked below) to register your classes by Friday, August 7. This information helps EdTech prepare the classrooms for clicker technology and also alerts the bookstore about the number of clickers to purchase. If you haven’t used clickers before and would like more information, please contact Educational Technology at edtech@mst.edu or 573-341-4131. STUDENTS WITH CLICKERS SHOULD GET A FIRMWARE UPGRADE! Students can visit the Walk-in Center at the Library. It only takes a few seconds to perform the upgrade.